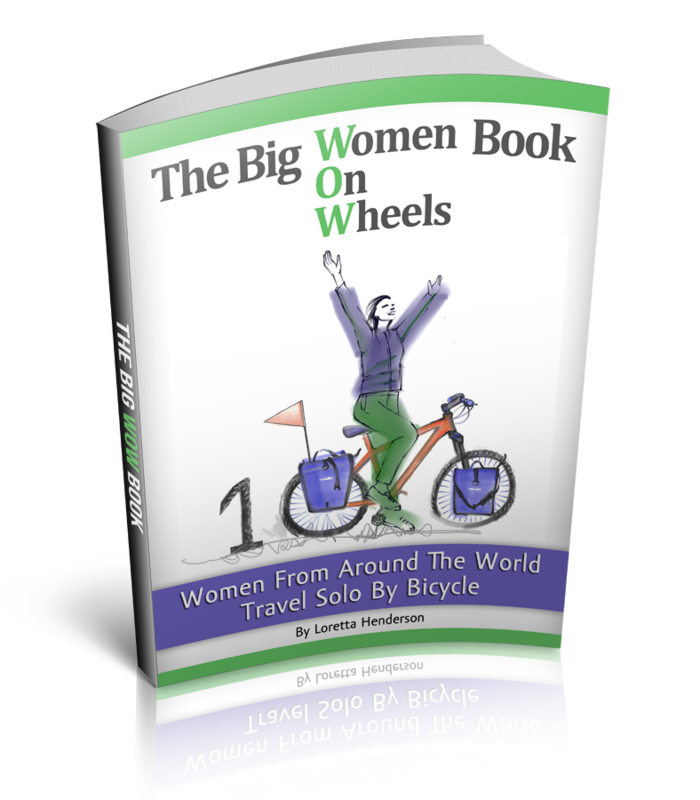 Solo Female Cycling Around the World: What Motivates The Long Distance Cyclist? What Motivates The Long Distance Cyclist? Since my childhood days I always liked cycling. We only had one bicycle that we shared between 4 kids, but I always won the fight for the bicycle. Additionally, I learnt that the best way to provide my sister privacy, when her boyfriends came to visit, was to ‘bum’ their bicycles for a ride. In those days youngsters did not have fancy cars when courting. Yes, I hail from way back in the previous century. One of the first things I bought myself when I started working was a bicycle. At college most of my friends wanted to buy their first cars, I reckoned that if I owned an apartment and had a bicycle, I have everything that I needed. In fact, I only bought my first car at 28, although I had my drivers’ license since I was 18. Everywhere I went I cycled, I even took my cat to the vet in a back pack on my bicycle. It had always been a dream of mine to cycle from Cape Town, South Africa to Port Elizabeth (800km), which I did in 1986 with friends. This was a supported trip and I always harbored a wish to do a solo, self-supported trip....owning panniers just seemed so cool. Then just before my 30th I decided to move to Johannesburg. Not a cycle friendly city, geographically as well as attitude wise. Although, I still wanted to do cycle touring. I traded my racer for an all terrain bicycle, I studied maps and then shelved the idea because of work expectations. In fact, I shelved it so well that my bicycle did not see the light of day for years. The only thing I kept doing was to read about cycle touring. Then in 2005 I landed in hospital with an emergency hysterectomy, 3 days in the hospital (I was let out a day early because of good behavior) and 8 weeks of bed rest. ‘Rest’ did not seem like a good idea. I was ‘forced’ to read to keep busy. After reading Anne Mustoe’s Cleopatra’s Needle, I was so impressed by this 69 year old that had done 9600km by bicycle, I thought to myself if she can do it at that age, I can cycle to Cape Town. Then I promptly thought what a great idea, I think I’ll do just that. At that stage I have not cycled for years and it was still going to be 2 months before I would be allowed to even look at my bicycle, but my mind was made up. I was going to cycle to Cape Town. I used the rest of my recovery time planning my trip and figuring out exactly what I needed to do. I pestered my doctor to tell me when I could start physical activity. Off course, he was most curious as to why I so dearly wanted to start training, when I told him, he just about fell off his chair. My first training was not cycling, but walking. I was seriously unfit. Everyday I walked 5 KM's. I did this for a month before I could start cycling. My first cycle outings were not very far. At first, I was so impressed with myself that I could manage 15km’s. I was adamant that I was going to cycle to Cape Town, a 1600km bicycle tour from Johanesburg. I would have celebrations every time I managed to add another 5 or 10 kilometers to my distance (not even on a daily basis). The day I managed to cycle 60km’s I thought I was the bee’s knees. I stuck to my plan and in June 2006, I set off to cycle to Cape Town, solo and self supported. While on my way to Cape Town, I decided that cycling through Europe could be fun. I had never been overseas and what better way to see Europe, like a real European. Before I reached Cape Town, I was already well into the ‘planning stages’ of my European trip. So in 2007, I cycled 2500km solo and self-supported through North Western Europe (main land only). 2008 – I did a 4000km Scooter trip on my 150cc scooter (yes all on my own). 2010 – After a 400km kayak trip down the Orange River, with a friend, I picked up my good old trusted steed and cycled 1300km solo along the back roads of the Northern Cape and the Kalahari desert all the way to the Sendelings Drift. 2012 – I tackled the Northern Border of Namibia on a 1600km solo and self supported bicycle your from Ondangwa to Livingstone via Ruacana, doing the wild camping thing and having a blast. Looking for motivation to get off your duff and do something in 2013? Good on you, Antoinette. Out of curiosity, when the article is primarily about your trip from JHB to Cape Town, why the pic taken just outside Swartruggens? I grew up near there (Zeerust, to be exact!) and as a boy in the 80's I've cycled past where the pic was taken. Of course, back then the N4 was a single lane each way, and to ride on the road itself would have been suicide. Your adventures sound amazing Antoinette. Where in europe did you cycle? Do you have any recommendations. I am planning on going in May this year so any feed back would be great. Hope Siberia goes well for you.